Calling all mac and cheese lovers from around the globe. 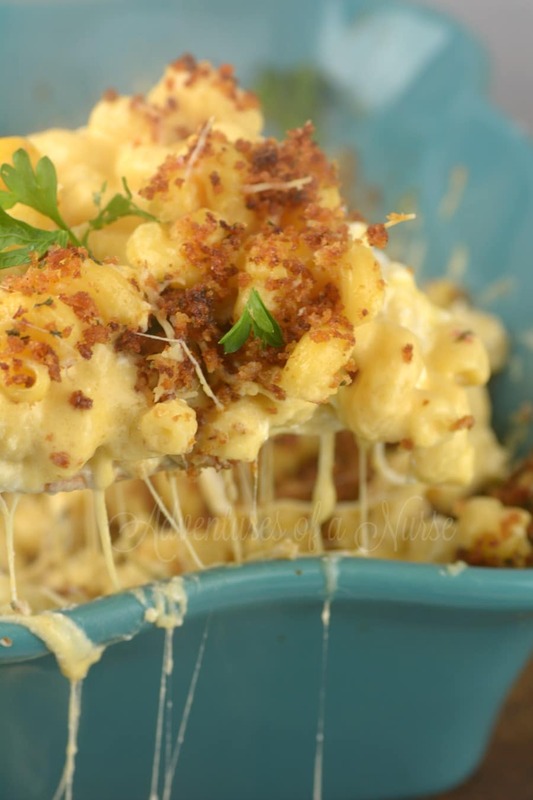 This Million Dollar Instant Pot Mac and Cheese takes the cake for macaroni and cheese! The cheese factor is over the top, al dente pasta, layers of cheese, and topped with breadcrumbs for the perfect amount of crunch. Watch this become a new family favorite upon the first bite. You have that classic comfort food of mac and cheese made in an instant, thanks to your excellent Instant Pot. Trust me; this is a million dollar mac and cheese, and worth making. 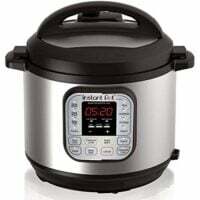 You all know I have made tons of recipes in my Instant Pot since I got it, and making comfort dishes like this is my favorite. There is nothing more rewarding and comforting than a big bowl of pasta. Sometimes I make this as a meal for me, instead of a side dish. I add a side of broccoli to toss in some veggies, and then I don’t feel as guilty. The Instant Pot cooks the pasta perfectly and melts the cheese to ooey-gooey perfection. Serve this up as a side dish at your next barbecue or as a side to go along with your family meal. Either way, this is genuinely perfect macaroni and cheese that is incredibly comforting, down to the last bite. Check out my 10 Holiday Instant Pot MUST Have Recipes. If you love Cheese You may also want to try some of my favorite Instant Pot Dishes like Paneras Copy Cat Mac n Cheese, Broccoli, and Cheddar Soup or Homemade Hamburger Helper. If you are wondering what sets this mac and cheese apart from all others, is the combination of cheese. Using cheddar, asiago, and provolone creates layers of flavors that just can’t be topped. It melts perfectly and gives you that rich and cheesy instant pot mac and cheese that stands out from all others. The sour cream also adds a rich creaminess, and the mustard offers that little bit of zing that hits the spot. For this recipe, you start out by sauteing the butter along with all the seasonings. Then toss in your water and pasta and cook on manual high for 4 minutes. 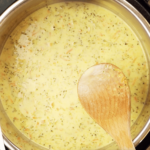 You then turn the Instant Pot back to saute and toss in your cream and evaporated milk, when it begins to bubble toss in your cheddar and asiago cheese. Then Pour half the mixture into a baking dish, then top with provolone cheese, followed by sour cream. Then top with the remaining pasta. Then take browned panko breadcrumbs and tumble over the top and bake for 5 minutes. Can you imagine the rich and creamy flavors in this Instant Pot mac and cheese? I mean you have all the bold flavors all coming together to make it one of a kind. 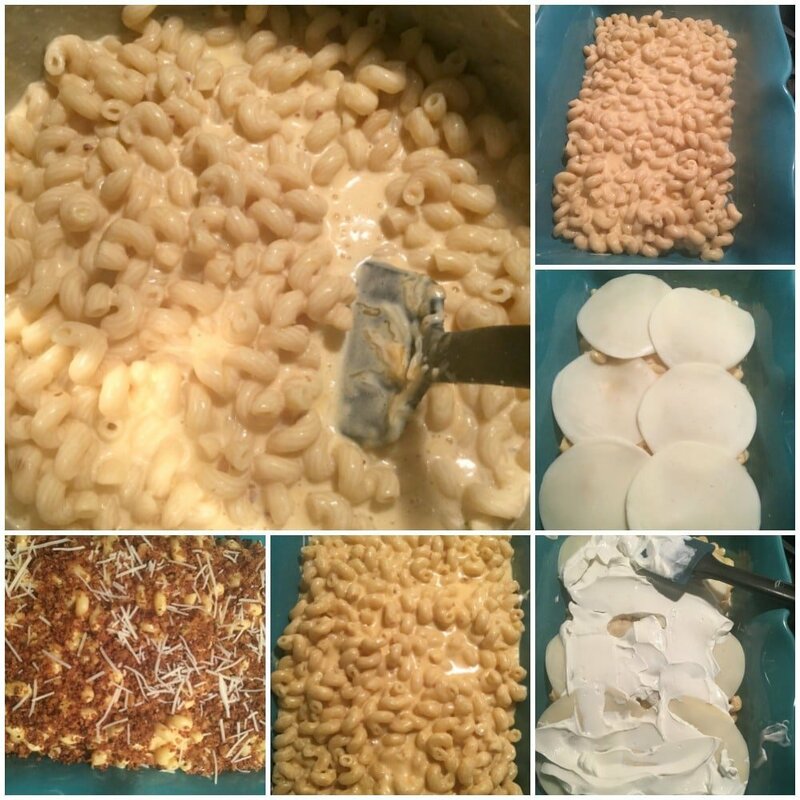 You will never want to buy boxed mac and cheese again after you try this recipe! If you love cheese and pasta than you will devour this mac and cheese. 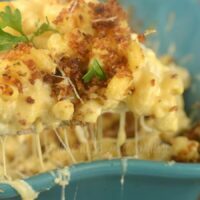 Million Dollar Instant Pot Mac and Cheese takes the cake for macaroni and cheese! Place the Instant pot on saute. Melt butter and add all seasonings. While pasta is cooking melt 2 tbs butter in a frying pan with 1 cup panko breadcrumb just till breadcrumbs are brown. Do a quick release. Placepot back on saute. Stir in evaporated milk and heavy cream. When the mixture gets bubbly stir in cheddar cheese and asiago cheese. Pour half the mixture into the bottom of a baking dish. Spread 6 slices of provolone cheese over the top. Top with panko breadcrumbs and bake in the oven on 350 for 5 minutes. Love Butter Ball Turkey’s flavor. Grew up trusting the quality of this beans! Made the Million Dollar Mac and Cheese using half and half and evaporated milk. Used sharp cheddar and the asiago and the provolone slices. I only used a pinch of the red pepper flakes. It was delicious! I agree. My pasta is cooking right now and there isn’t any boullion in mine..
What size IP is this made in?? Do you think it will be difficult to mix in the evaporated milk and cream if I double the recipe? I made this dish and it is worth “A million dollars”. So yummy and creamy. I did add another cheese, shredded Monterey Jack for some extra spice. It sure won’t be around here very long. Thank you for the delicious recipe. I would like add shrimp to the recipe. Should I sauté them on top of the stove and then add to the Insta Pot ? I have purchased several Instantpit cookbooks, but your recipes are the BEST! I made the taco bowl and also the taco with rigatoni..both were huge hits.